Air Charter Advisors offers around the clock private jet charter services in Wichita, the largest city in the state of Kansas, and one of the largest aviation manufacturing centers in America. Our company arranges private air travel to Wichita, KS utilizing the highest standards in executive and luxury aviation. Our Wichita jet charters are available 24 hours a day, 7 days a week, and our brokers offer access to thousands of private jets and aircraft rentals no matter where you’re located. This allows us to find the best aircraft at the best cost for every flight, whether you’re traveling internationally or domestically. Our company provides quick response times, an easy, hassle-free booking process, and the most competitive rates at the highest levels of safety and service. More importantly, our top priorities are your time, privacy, flight preferences and most of all, safety. Call to speak with one of our jet charter brokers at 1-888-987-5387 , or request a free no obligation charter quote by emailing us with your trip details for your jet charter flight to Wichita, KS. When arranging jet charter flights to Wichita, KS, you can choose from the following list of airports located within 15 nautical miles of the downtown city-center. While Dwight Eisenhower (ICT) is the city’s main airport, many regional fields and municipal airports offer potential savings and allow private flyers to arrive closer to their destination. Discuss all of the airport options for private flights to Wichita with your aviation advisor. Rent a private jet to Wichita, the largest city in the state of Kansas, home to wild west cowboy culture, historical transport and livestock industries, and one of the nation’s largest aviation manufacturing centers. Wichita is located in the south-central of Kansas where Interstate 35 meets U.S. Route 54, and it’s bisected by the Arkansas River. It’s position in the Midwest makes it a popular hub for business and leisure aviation, located just 160 miles north of Oklahoma City, 180 miles southwest of Kansas City, 300 miles south of Omaha, 365 miles north of Dallas, and 440 miles southeast of Denver. Starting out as a trading post back in the 1860s, the city was named after the Native Americans who originally lived on the land. The Wichita Town Company attracted hunters, traders, and various business opportunities as the settlement began to expand, and the city was incorporated in 1870. After major railways (Atchison, Topeka, and Santa Fe) reached the city in 1872, it quickly earned the nickname “Cowtown” due to its popular location for cattle drives originating in Texas looking to connect with east-bound railroads serving the east coast. Across the Arkansas, Delano became a popular cowboy hangout thanks to an array of saloons & brothels, as well as a lack of law enforcement. It gained a reputation for violence until lawmen, including Wyatt Earp, began policing the cowboys. Soon after, the cattle runs had made their way west to Dodge City. In 1914 and 1915, oil and natural gas deposits were discovered nearby. Refineries, fueling stations, and headquarters began to spring up around the city, and by 1917, it was home to 5 operating refineries, and 7 more by the 1920s. The fortunes of future moguls began here during this period, including Archibald Derby, founder of Derby Oil, and Fred Koch, who created what would go on to become Koch Industries. Later in the 1920s and 1930s, aeronautical businesses and engineers established manufacturing companies, including Beechcraft, Cessna, and Stearman Aircraft. The city transformed into a hub of domestic aircraft production, and it became known as “The Air Capital of the World”. Today, it remains a focal point for the American aircraft industry. Several companies continue to design and manufacture planes in Wichita, with facilitates operated by Textron Aviation, Learjet, Airbus and Spirit AeroSystems. The area is also home to McConnell AFB, the only base in the Air Force where all three components, Active Air Force, Air National Guard, and Air Force Reserve, all support the same mission. 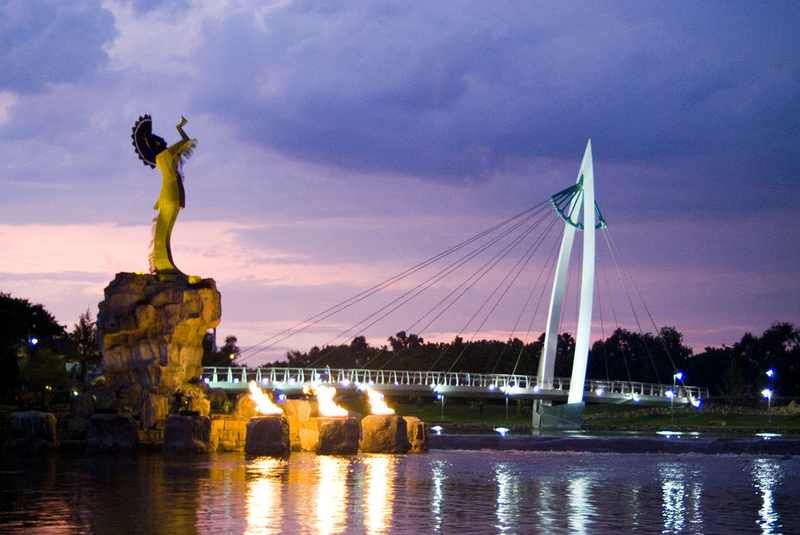 As the largest city and an industrial hub of Kansas, Wichita is a center for culture, arts, media, tourism, and trade. The city is home to several museums, theaters, parks, and entertainment venues, along with Kansas’s largest airport, Dwight D. Eisenhower National Airport. There are plenty of cultural and historical attractions to check out after your flight, from art galleries, historical exhibits to live music and theatrical performances. There’s also the Sedgwick County Zoo, Kansas’ largest zoo and one of the largest in the country, home to more than 2,500 animals of nearly 500 different species. 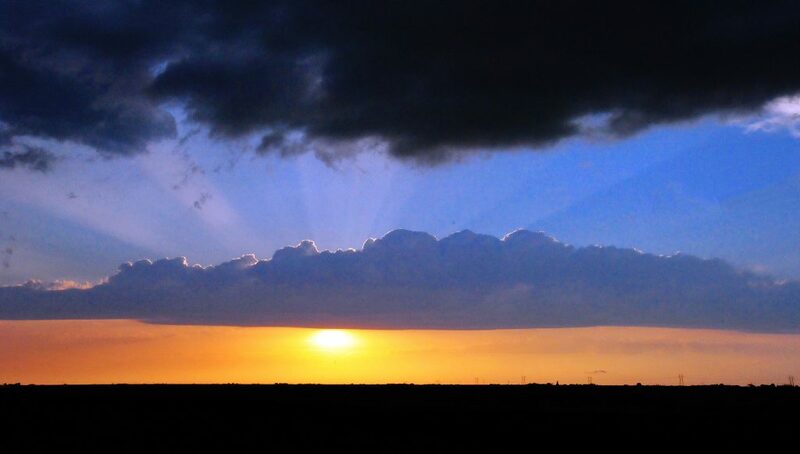 Wichita features hot summers with temperatures mostly hanging around the 80s. July is the warmest month of the year, with an average maximum temperature of nearly 93F degrees. Winters, on the other hand, can become very cold, with temperatures dropping into the 30s. The coldest time of year is January, with an average minimum temperature of around 20F degrees. The area doesn’t receive a ton of rain, but its wettest month is June, averaging just over 4 inches of rain. This makes the best time to book jet charter flights to Wichita the spring season (March-May), and late summer/early fall (August-October). Home to a modest population and lacking in international attractions, there are only a select number of luxury hotels available in Wichita. The Ambassador Hotel a centrally located upscale hotel in former bank building, offers the most luxurious stay. The Ambassador features contemporary, plush rooms, marble showers, and a steakhouse. Private flyers can also opt for a B&B, with 3 luxurious inns available for a more quiet, relaxed stay. There are plenty of business hotels surrounding the airport for executives and business groups flying in for meetings or conferences. When arranging jet charter flights to Wichita with ACA, you’ll gain instant access to more than 10,000 private planes based in Kansas, across the United States, and around the world, connecting you to the perfect aircraft rental no matter where you’re flying to or from. All of the planes we arrange are operated by FAR Part 135 or 121 (or foreign equivalent) operators, with experienced flight crews and veteran pilots. We also review third-party safety audits to ensure every plane and pilot meets our standards, some of the highest in the private aviation industry. Request a free quote and our Wichita jet charter brokers will provide options based on your goals and budget of your flight. This allows you to choose a smaller, cost-effective aircraft, a comfortable mid or super mid jet, or the most luxurious VIP luxury plane available. Check out our Aircraft Gallery for more details on all of the planes available for your private flight to Wichita, KS. Runway: 5,506 feet | FBO: B Four Flying, Inc.
Request a Quote or give us a call at 1-888-987-JETS (5387) to speak with one of our Wichita Private Jet Charter brokers to arrange your upcoming private flight to the state of Kansas. We offer unlimited, non-committal quotes, so feel free to discuss the details of all of your upcoming trips with our advisors.